I am happily stitching-away at home…I will not be traveling for over two weeks yet…this is very nice not having to be thinking about where I am going next week…but there is Fall Market/Festival in Houston…but being home makes it much more pleasant! So here is another 2 blocks…Like I said before I love stitching these in-between the other projects…I keep looking at block 11 and thinking I stitched this one already…but it is different. I enjoy decorating for fall and Christmas. My mom passed three years ago today….this is the first time I have decorated since then. She lived with us for ten years. I probably love Christmas decorating the best. I love to decorate for Fall … it is my favorite because I love the colors. The oranges, golds, deep reds and browns all come alive when the temps cool and the air is crisp. Of course, being in Texas that sometimes doesn’t happen until the middle of November!!!! 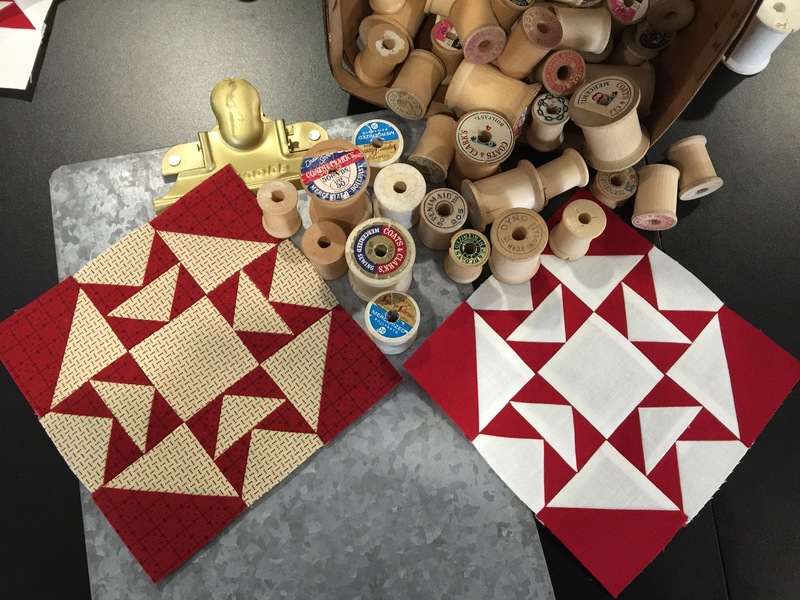 Wow–lots of HSTs going on at your place! Great blocks!! I decorate some for winter with blue and white snowflake and snowman decor. I do a little bit of Spring/Easter, but not a lot. Summer gets a huge hit of red/white/blue, and Fall is pretty heavy with orange/black and green for Halloween and all of the Fall colors for Thanksgiving. Come Christmas there is red and green all over the house with 2 dozen Alpine trees with white lights and lighted garlands on the banisters, hutches and piano top. I love the look of 10 but the fewer pieces of 11 🙂 Looking forward to piecing both! Thank you!!! I love all holidays and try to decorate even if it’s a very small area. Lisa I am loving these little blocks!! The hurricane Matthew hit North Carolina today and I sewed my day away while listening to rain crackles hit the windows and pine cones clunking the roof. My piecing gave me peace. HI Lisa, I actually have a couple stitched items in the house that change monthly. I used to decorate more for the seasons but find the older I get, the lazier I become! Fall is my favorite time of the year. I have been decorating on and off for a week. I even planted mums and kales outside. I was inspired when I was in Door County last week. So beautiful. I decorate for all the seasons/holidays inside & out. Fall is my favorite! Most of my decor are items I stitched. Show us your fall decor please. I love fall and decorate for it as much as Christmas. Would love to see yours. It sort of looks like Halloween threw up all over my house, but I love it and can’t bear to part with anything I’ve made or collected. Favorite holiday to decorate for is Christmas but I decorate for Halloween and Thanksgiving. I just read your article in APQ and am very intrigued with your wool work. Wow! Beautiful patchwork, and wool appliqué too? I don’t think it can get better than this!! 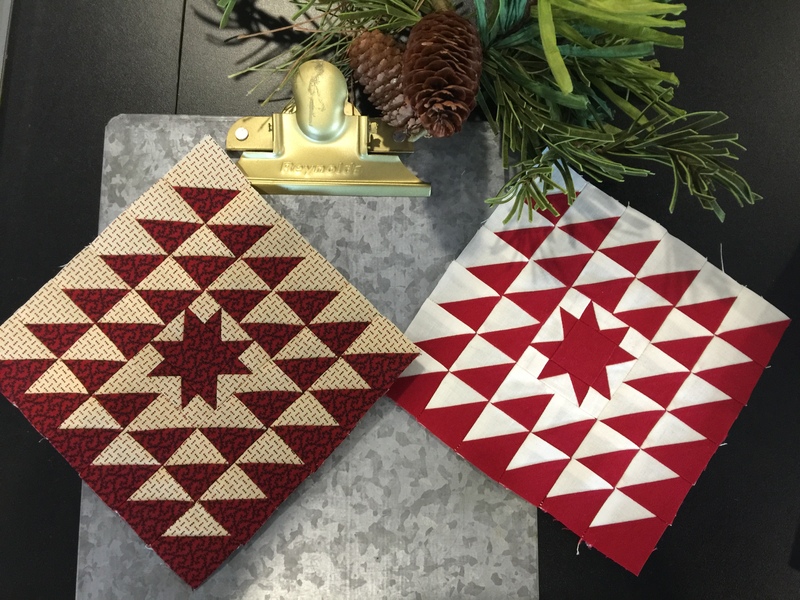 Thanks for sharing your Christmas blocks! Lisa, shouldn’t there be 8 of (e) in Block 11, not just one? CORRECTION TO BLOCK 11: I skipped ahead to Block 11 while I await the arrival of the 1-inch triangle papers. 🙂 There is one correction needed. Instead of cutting ONE “E” there needs to be EIGHT. I am loving the ease of this block, and yet I can’t wait to try the triangle papers. I think Block 10 is stunning! I’m enjoying the journey, for sure. Lisa, I seem to have missed Block #6. I have looked for it and cannot find it. Where /how can I get it? Thanks. It was posted on September 19th…type in Alabama in the search bar…I will switch the title so it recognizes block 6. Lisa, I just used your 1-inch triangle paper for Block 10. That was easy and so much fun. I watched your tutorials on YouTube to see how to prepare the fabric and how to use the paper. Those papers are a GREAT idea! But wait – we don’t want you to retire just yet! What day do you post Magic of Christmas? I have a question…how do I know what triangle papers to use? Do you have a guide that showes you that if you are cutting this size then tht correspiondes to this size triangle papers? 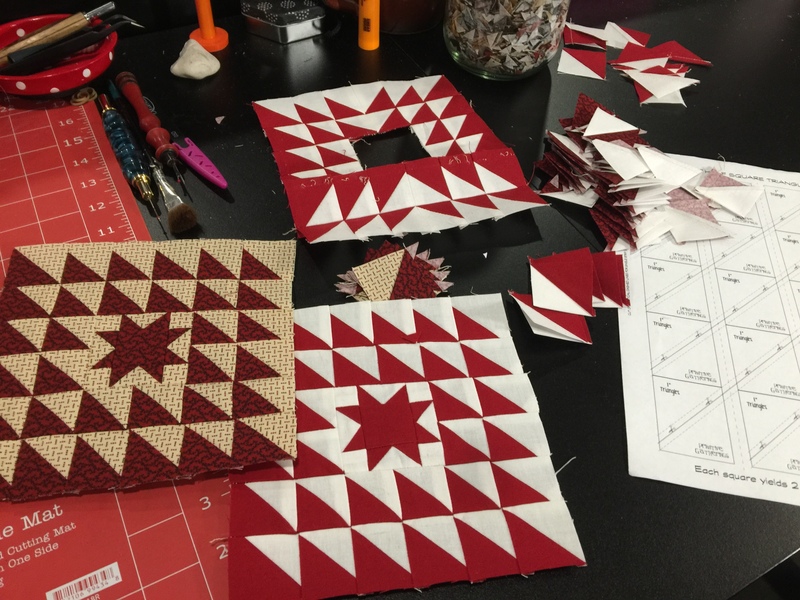 So if my pattern says to cut 1 7/8 ” squares and cut into triangles i know that i can use the 1″ triangle paper….etc. Does th instructions on the triangle paper state that? Help!! Hi Deb…this is a good question… the cut size of a triangle always 7/8″ larger than the finished size…and triangle papers are size according to finished sizes…so 1 7/8″ is 1″ finished…2 3/8″ is 1 1/2″ finished…and so on…Half square triangle cut sizes are always 7/8″ for whole numbers and 3/8″ for half sizes like 3 3/8″ would be 2 1/2″ finished…i’m sure there is a chart on the web somewhere too!